2018 has been a busy year so far! Following on from another successful series of concerts for the homeless charity Crisis At Christmas, January brought the usual sniffles and Life Admin chores such as Tax Returns and Car Insurance renewal. However, the 7-day Spring Peak District Retreat I am teaching on April for London Songwriters is effectively sold out and so I have had time to do some rewriting and prepare for recording a batch of tracks for release and sync-pitching later in the year. 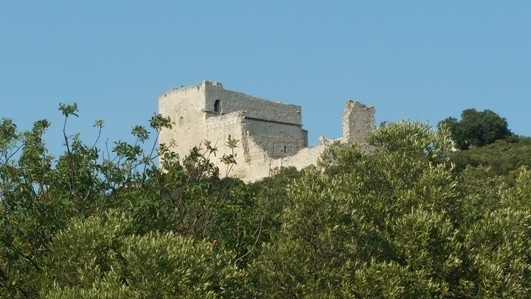 I am also looking forward to finishing edits on some atmospheric tracks I filmed last year in the South Of France (pics above) and releasing the resultant videos. Great to be progressing some new music and getting the studio ready for recording. June 2017 – Workshops, Retreats, Mentoring and Recording! 2017 has been a busy year so far! 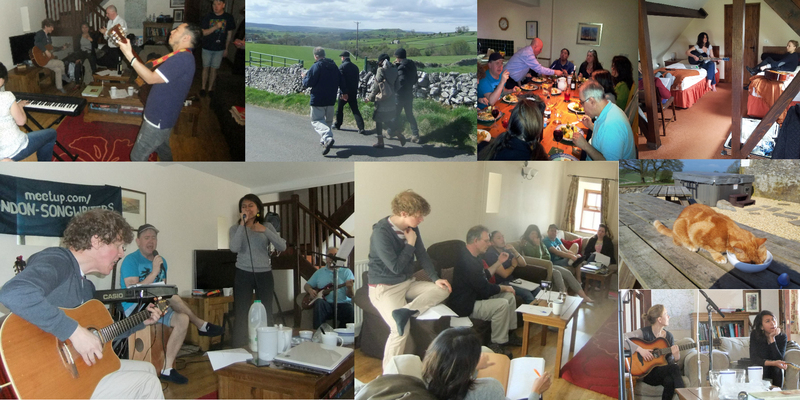 The 7-day Spring Peak District Retreat I taught and facilitated for London Songwriters in April was a huge success – 12 writers plus myself bonded over Songwriting and Suppers in the middle of the beautiful Derbyshire Countryside. We had a great time discussing songcraft, writing over 40 songs, walking through the local villages and pastures or simply chillaxing. Next up, and alongside the popular half-day Collaboration and Songshare workshops in London, I will be teaching and facilitating once again on the July Songwriting and Recording Summer Camp 2017 in Box Hill, Surrey, and this will be my eighth retreat in two years. Last year’s sold-out event garnered enthusiastically positive testimonials as have all my retreats and the 2017 Camp only has ONE PLACE LEFT with two months to go! It’s gratifying to watch Workshop and Retreat attendees producing better and better songs, scheduling showcases and their own EP/album releases as well as continuing to collaborate and record outside the sessions. Over the Summer I will once again be mentoring groups of young people in Music Skills for three days at a time at NCS for the Team Challenge part of their four-week course. I am also mentoring individual songwriters, so if you feel the need for some experienced 1-2-1 feedback do get in touch! See the Workshops link for testimonials. 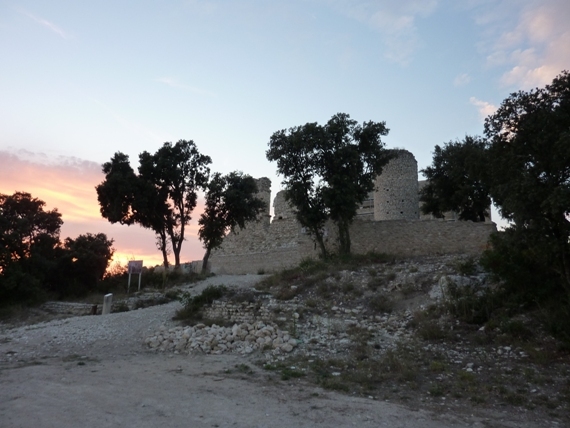 Amidst the work organising the workshops I am also finding time to record and video a backlog of songs built up recently including some location shots in the South Of France where I am currently on holiday – I hope to release some more tracks of my own soon! And so we come to the end of a busy 2016 – here are my highlights in a nutshell! I ran another three highly successful London Songwriters Retreats in the beautiful English countryside attended by 45 writers in total, all of whom rated the overall experience 5 out of 5. You can register for the Spring 2017 Peak District Retreat if you want a magical songwriting break in beautiful surroundings! There were also 22 of our monthly Collaboration, Songshare and Industry Guest workshops in London and in the summer I also had two three-day stints mentoring young people in music skills for NCS – The Challenge. On the non-musical front I attended England’s Euro 2016 football match with Russia in Marseilles whilst on holiday in France – a most dispiriting and tear-gas perfumed affair! There were sad and difficult family matters too but hopefully we can carry forward the good memories, so here’s looking forward to a positive attitude to the challenges ahead and wishing everybody a happy 2017! Last year Mark Christopher Lee‘s label released an album of 100 30-second songs as a commentary on streaming services such as Spotify, which stand accused of not paying artists, and most particularly songwriters, a fair royalty rate. The 30 second song concept comes from the fact that Spotify pays out micro-pennies for distribution to artists by record companies after 30 seconds of streaming, so why write any longer songs? It also perhaps reflects the supposed decreasing attention-span of today’s listening audience. It deservedly garnered attention from TV and national press and is now entered in the Guinness Book Of Records. As soon as I heard of the concept I was immediately curious as to how one could fit an entire Pop song structure into 30 seconds along with all the hooks and commercial radio-play conventions that go with it. In the end I missed the deadline for contributions to the original album, being in the throes of organising and facilitating a London Songwriters retreat. 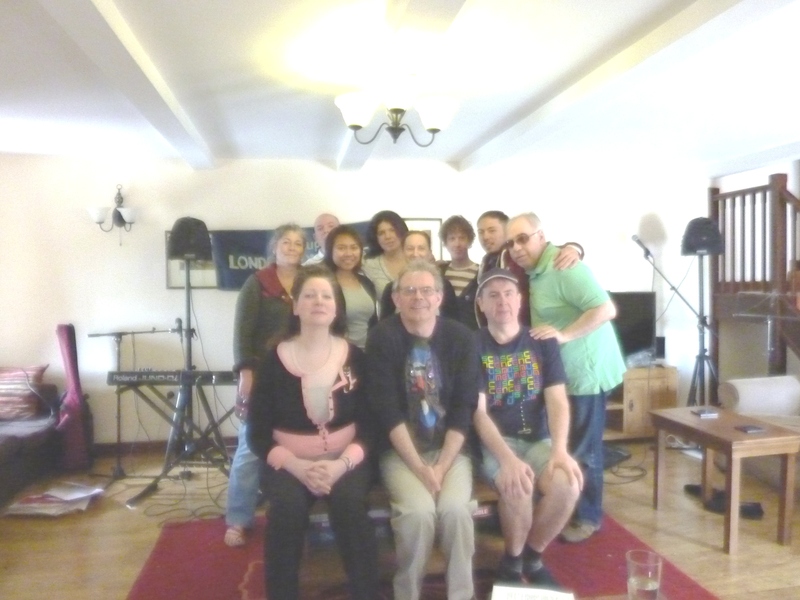 However, when I heard about the follow-up, which commemorates 400 years since Shakespeare’s death, I knew I had to find time and a songwriting get-together with friends in Gloucestershire gave me the opportunity. I chose Sonnet 18 (Shall I Compare Thee To A Summer’s Day) as my inspiration, paraphrasing it into modern-speak and using the ubiquitous Axis Of Awesome 4-chord loop as the harmonic basis throughout. Except that, in order to fit a classic pop structure of Intro Verse PreChorus Chorus Intro Verse PreChorus Chorus Bridge Chorus (Breakdown) Chorus Outro, I condensed it into a 2-bar loop with 2 bars for each line/section at 170bpm in a Power Pop Punk genre. In true pop fashion I incorporated a non-lyric vocal intro and link (Oh Oh Oh Oh) and hopefully the requisite amount of repetition and contrast between the sections. I recorded it the week afterwards and hit the deadline for the album along with all the other great artists. I’m pleased to say the song has had a good reception on record and live. I filmed the video to help promote the song and album in my English Country Garden. Serendipitously, I think the clay sculptures in the video manage to echo the theme of longevity through art covered in the Sonnet as well as in the work of the ‘Immortal Bard’. Summer’s Day (Shall I compare Thee) is out now on Shakespeare Verses Streaming by The Pocket Gods and Friends – Owen Paul, Mo Foster, Rich Ridings, The Boy From Space, Lee Ryda, Jane Tomsett and others. It is available on Amazon, iTunes and on Physical CD at all good record stores. …marked a great start to the year. “It was amazing!”, “Thanks for a great workshop again! 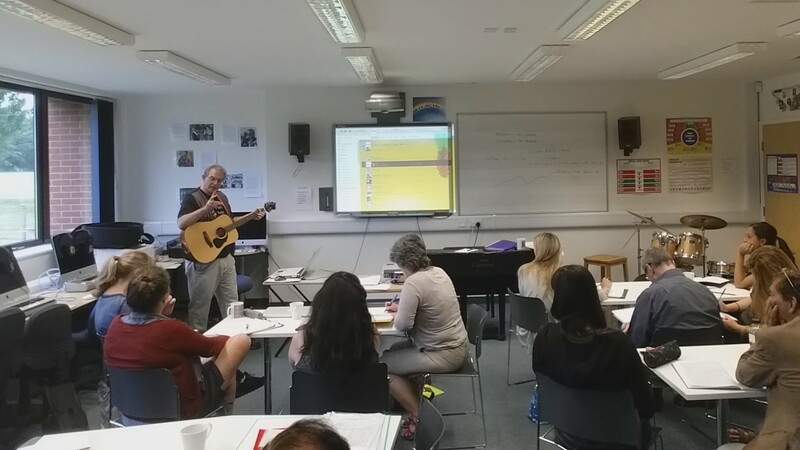 These are so valuable”, “Great experience”, “Really inspiring and effective group” – so said some of the participants at our New Year 2016 collaboration and songshare workshop on January 17th. “Really well organized and superb system for gathering feedback – genuinely illuminating. 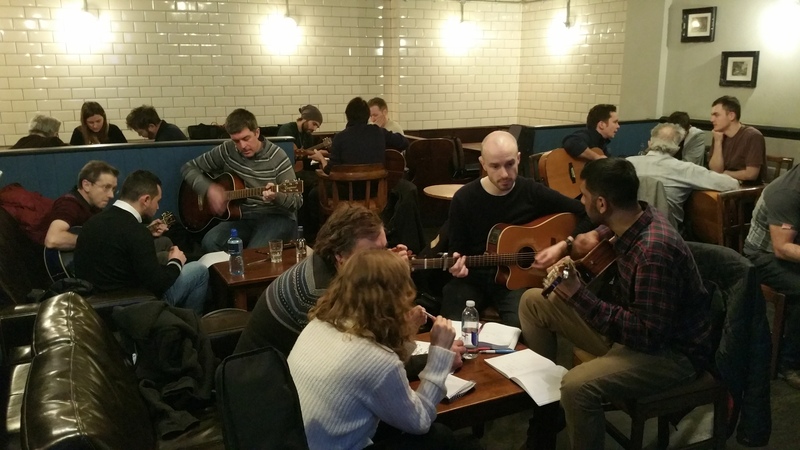 Thoroughly enjoyed it.” said one participant about our second event, a Songshare and Feedback Session on January 30th. 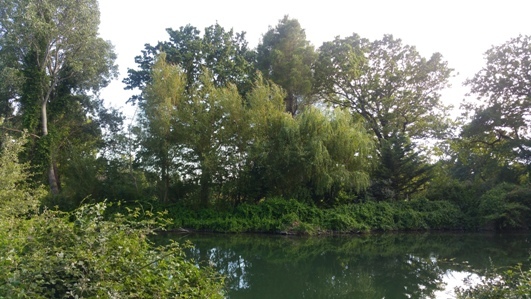 Register your interest for our May 2016 Retreat! I look forward to welcoming more songwriters to our future events! Also…over the years I have attended some training workshops hosted by the Federation of Entertainment Unions via my Musicians Union membership. These are fantastic events for freelance creatives on practical subjects such as motivation, presentation, interview technique and finance. They included me in a case study, which you can read on the FEU Training Website. If you are a member of one of the relevant unions these courses are totally worthwhile! 2015 was an interesting year. It was certainly one of innovation. 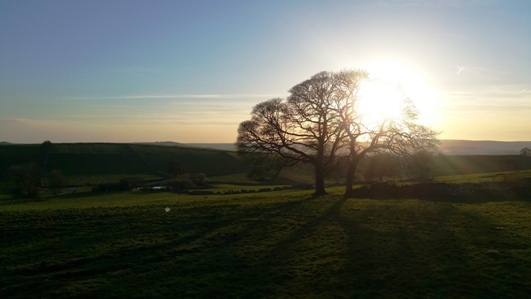 Three highly successful London Songwriters retreats in the beautiful Derbyshire countryside were attended by 35 writers, all of whom rated the overall experience 5 out of 5. Alongside the monthly collaboration workshops I also inaugurated a songshare format for London Songwriters, which proved both popular and useful and we had some great industry speakers, including Norman Dolph, David Stark and Don Gallacher. The two concerts we organised for the homeless charity Crisis At Christmas at the end of the year were a huge success and we raised £1062 at the same time via our Donation Page. Organising these events took up the bulk of my time but I also made sure I did some of my own writing, which was gratifying. I even entered a song for the Eurovision Song Contest with the aid of a singer who contacted me. Boom-Bang-A-Bang! Inevitably there were disappointments too but they say you should only carry forward the good memories, so here’s looking forward to a positive attitude to the challenges ahead and a happy 2016! 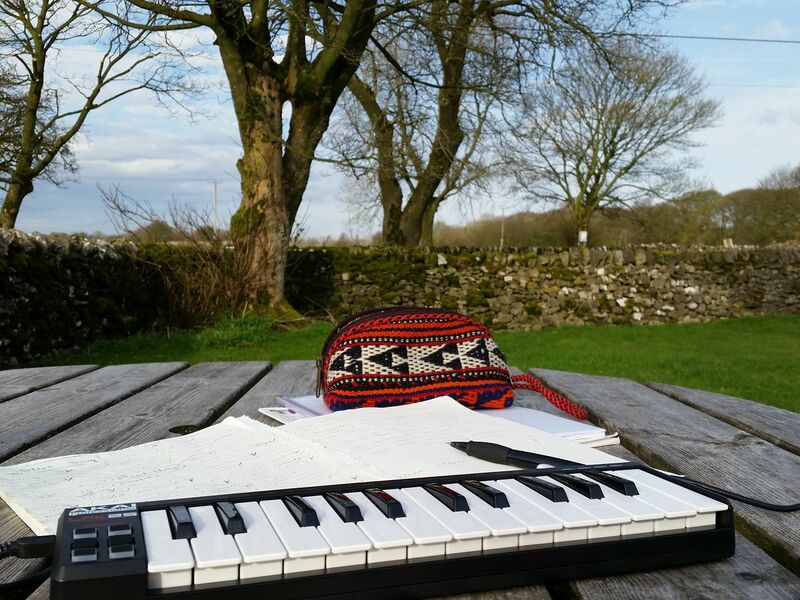 At the end of April I facilitated my first retreat for London Songwriters and 11 of us spent a wonderful week writing in the picturesque Derbyshire countryside. I have been attending retreats with a dozen or so friends every 6 months for the last 10 years and thought it would be a nice idea to share the experience with the London group. I will be hosting another retreat at the beginning of August – at the time of writing there are still a couple of places remaining if anyone wishes to contact me. 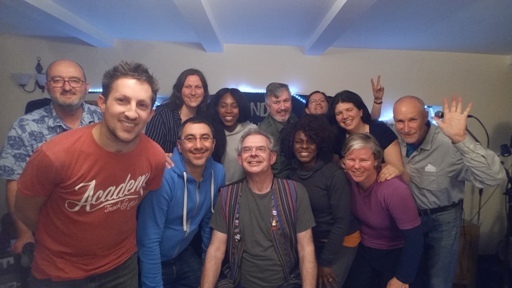 Alongside the regular monthly Collaboration and Songshare/Feedback events in May we also held a very successful Song Pitching special with NYC Lyricist/Publisher/Author Norman Dolph, who offered some highly constructive and gracious comments on the commercial pitchability of our members songs. The year got off to a flying start with good attendances at London Songwriters and some highly productive collaboration sessions. I also started a new songshare-only format where we can discuss our songs in more detail with a smaller group. 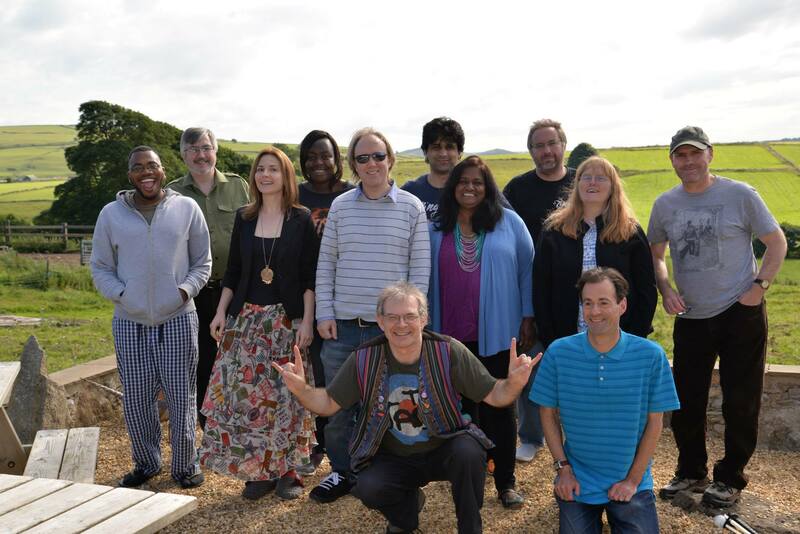 In April London Songwriters will host its first retreat for 11 of us in the Derbyshire countryside. Exciting! I have also been rewriting and tweaking some of my own songs so that they are ready for recording and pitching. One was shortlisted by Disney last year…hoping to improve on that achievement. 2014 ended with a repeat of last year’s collective London Songwriter’s performance initiative at a Crisis At Christmas homeless day centre. This year we did two performances instead of one, involving twice as many people and some of the guests also joined us on stage. Thank you to everyone who donated their time, talent and performances as well as those who sponsored us! The donation page is still open! My completion of a Community Music PTLLS Music Leader teaching qualification meant that there hasn’t been a lot of time for my own music but I will resume this year. Wishing everybody a Happy New Year and continued success throughout 2015! 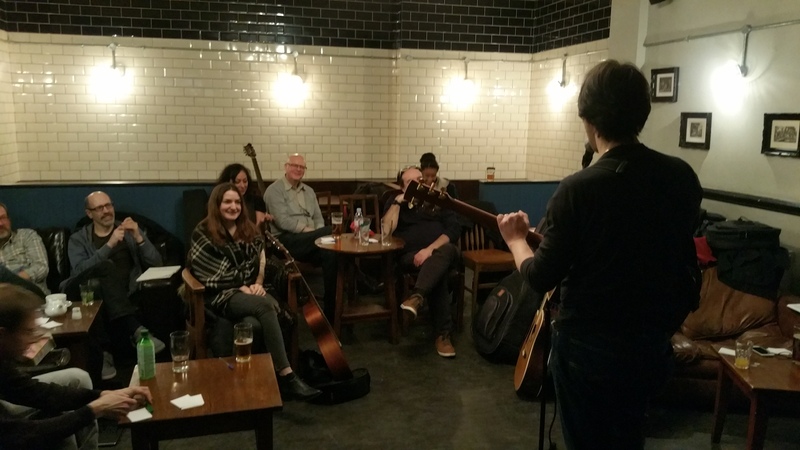 April, May and June’s London Songwriters meetups continued the fun and productive sessions of the first three months of the year with good attendances, great collaborations and songshares. The collaboration themes were ‘Success’, ‘Courage’ and ‘Liberation’ respectively – somehow I find that inspiring and positive themes bring out the best in writers for these tasks! I am also continuing to run a small fortnightly SongCircle group for 8 songwriters looking to improve and get feedback on their songs. These are practical, great fun and allow us to analyse songs in greater depth than our monthly meetups. Feedback has been more than enthusiastic – head over to the London Songwriters link on this site for testimonials. I am continuing my own education by studying for a Community Workshop PTLLS teaching qualification and this will help inform the work I already do. In other news I was also delighted to have one of my own songs included on the excellent alternative Nub country Records football compilation album Eat My Goal! out on June 9th.